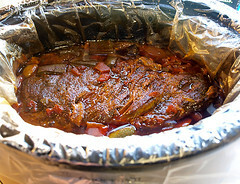 I think the best way to cook a beef roast is in the slow cooker. I love that I can spend about ten minutes puttering in the kitchen, then I sit back for eight hours and, as if by magic, I have a pot of juicy, tender, wonderfully flavorful beef. Speaking of beef, this is my second in a series of four recipes brought to you by the Texas Beef Council*. Shredded beef is one of those go-to dishes for me since I can use it in all sorts of dishes from tacos to stir-fry. 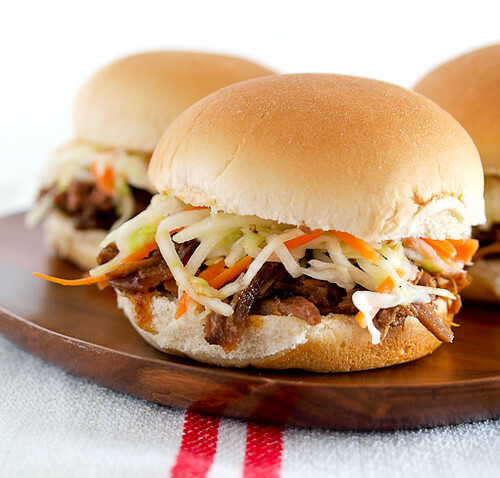 This time out I opted for some little shredded beef sliders topped with a tangy and crisp slaw. There is a fair amount of spice in the braising aromatics, but the beef itself is not terribly hot. The edges of the beef have a distinct kick, but once the beef is thoroughly shredded and mixed the heat becomes very mild. I decided to strain off the braising liquid for a quick BBQ sauce. 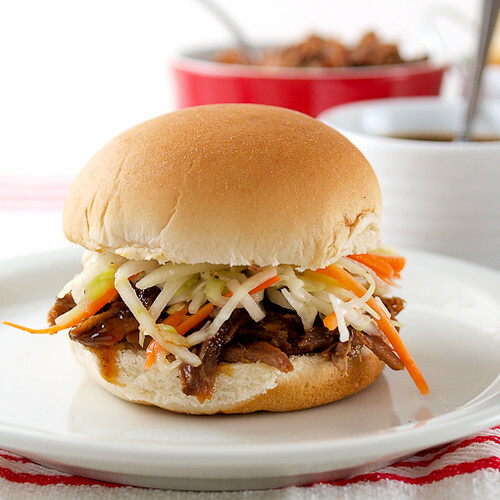 It is sweet, tangy and spicy and a little drizzle goes a long way. 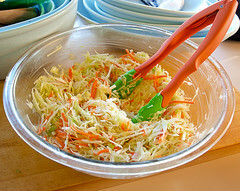 Topping it all off is some cool, crisp slaw. 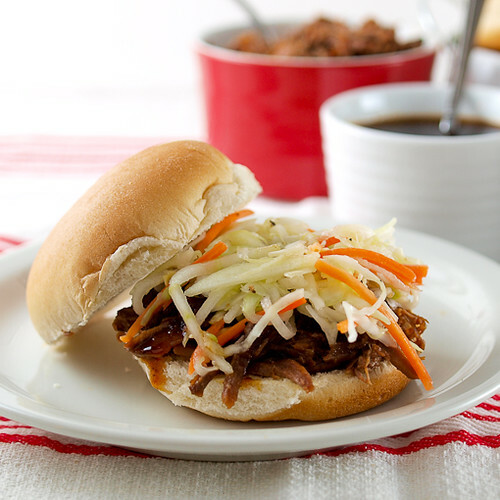 My slaw is simple, but it packs some flavor. What I like most is the addition of tart apple. I think it cuts the richness of the meat, making the sliders easy to eat. In a large skillet over medium high heat add the vegetable oil. 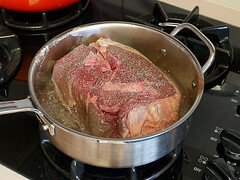 While the oil heats season all sides of the roast with salt and pepper. 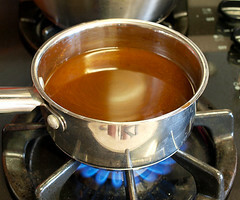 Once the oil shimmers add the roast and brown it thoroughly on all sides, between 3-5 minutes per side. While the roast browns add the onions, garlic, jalapenos, chipotles, sugar,all the spices, and the bacon to the slow cooker. Place the browned roast on top of the vegetable mixture. 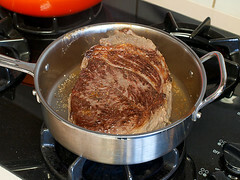 Add the beef broth to the skillet and bring it to a simmer, scraping the brown bits off the bottom of the pan. Pour the broth into the slow cooker. 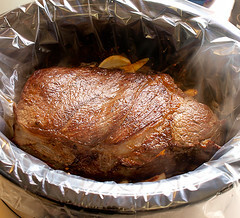 Cook the roast on low for 8 hours, or until the roast is falling apart tender. 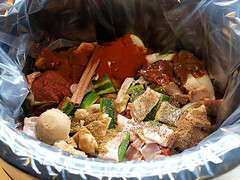 Allow to cool for two hours in the broth before removing from the slow cooker and shredding. 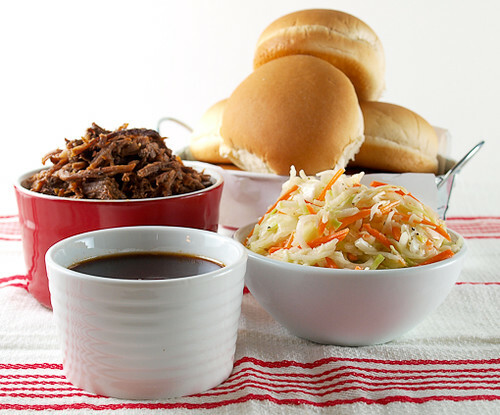 While the beef cools prepare the slaw. 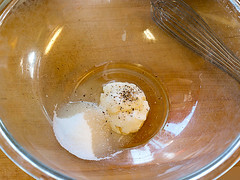 In a large bowl combine the mayonnaise, sugar, vinegar, salt, and pepper until well combined and smooth. 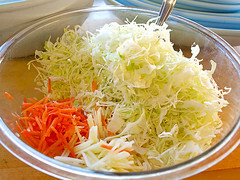 Add the shredded cabbage, carrots, and apples and toss until thoroughly coated. Cover with plastic and chill for at least one hour. 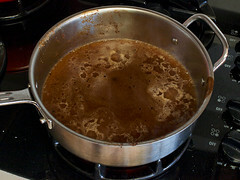 Once the beef has cooled strain two cups of the liquid into a medium pot. Add the sugar, ketchup, mustard powder, and red pepper and bring to a simmer. Cook until reduced by 1/3, about twenty minutes. The sauce should be fairly thin. 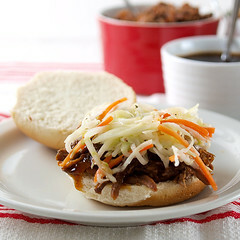 To assemble place the shredded beef on the bun, drizzle with sauce, and top with slaw.